Keep warm on cold winter mornings when setting off to school, university or work. These knitted beanies will do the job and look stylish too. Made from a 100 percent acrylic in a ribbed knit, they are designed to retain the heat and are soft and comfortable to the touch. An inner fleece lining around the brow band makes the cap even more wearable. Acrylic knits can be washed by hand or machine washed using a gentle detergent and a short washing cycle with warm to cool water. Lay the beanie flat to dry on a clean towel and try not to hang as it may stretch out of shape. 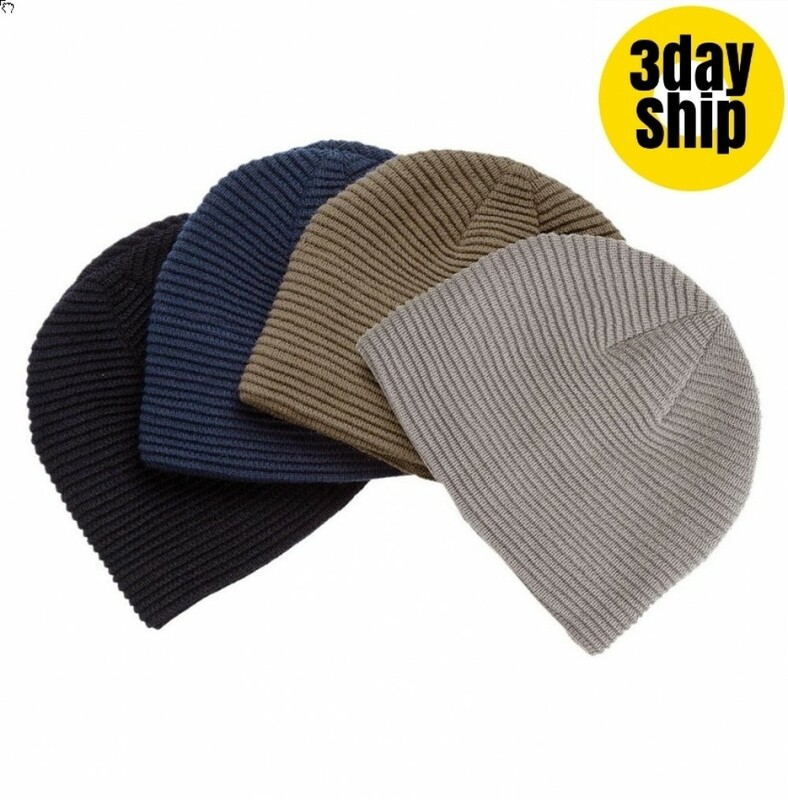 These precautions will ensure that your beanie remains part of your wardrobe for many seasons. All our beanies are made to the highest standards with extra-strength stitching and attention to detail of construction. They make great promotional items to offer to delegates at a team building events, sports days and other outdoor casual functions. They also make great promotional sales items during the winter months or useful additions to the uniforms of outdoor staff. Pricing includes 8k stitches embroidery of your graphic onto the beanie. Embroidery can accommodate the multiple colours of your logo and graphics. A set up of $50 applies for orders under 50 units. Delivery within Australia only. Listed prices do not include GST. Our experienced couriers deliver to the door, wherever you are in Australia. NSW | VIC | WA | QLD | SA | ACT | TAS | NT -- all states and territories, urban, regional and rural addresses. We are not able to deliver outside of Australia. Standard turnaround time is two weeks from finalisation of your order to delivery to your door.